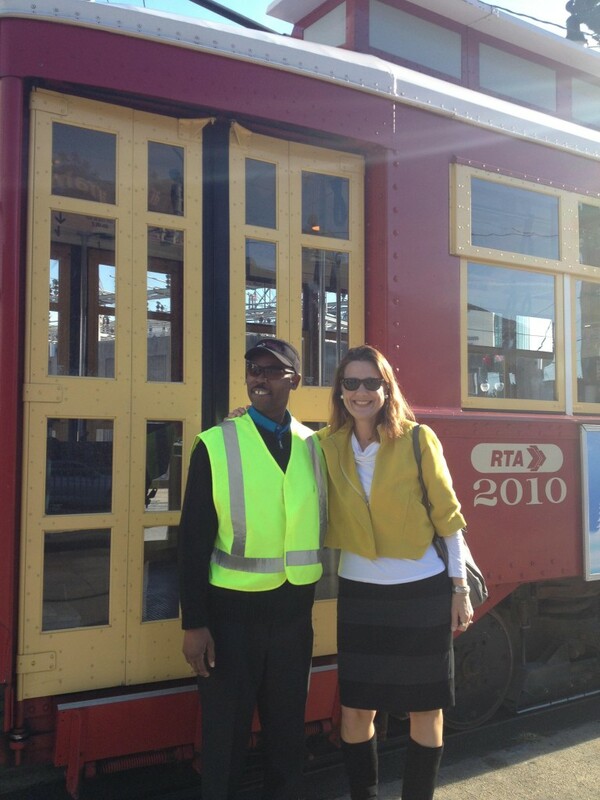 Transit Week 2013 kicked-off today with one of our region’s biggest advocates, New Orleans District C Councilwoman Kristin Gisleson Palmer, trading in her car for a multi-modal transit commute. The Councilwoman met Ride’s Executive Director Rachel Heiligman and Transit Week Coordinator Adam at the Algiers Point ferry terminal for a beautiful early morning trip across the Mississippi River. While aboard, Councilwoman Palmer discussed just what a vital link the ferry is in connecting large pools of workers to jobs. Pointing to major investments in employment centers like the $75 million renovation of the Riverwalk on the East Bank of the river and the major developments in film industry facilities and at Federal City on the West Bank, the Councilwoman made her case. 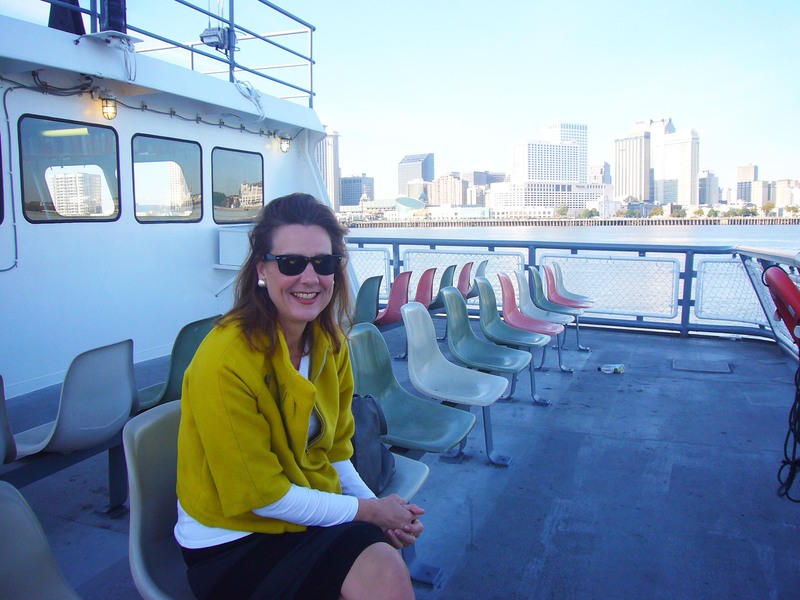 Our April 2013 ferry ridership survey showed that she was spot on – we found that more than half of Algiers-Canal Street ferry riders are riding to get to and from work on a daily basis. 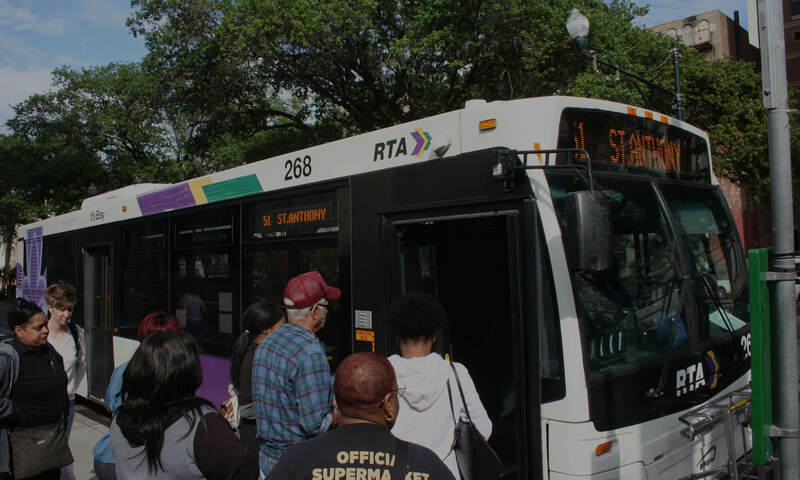 Councilwoman Palmer added that because schools in New Orleans are not neighborhood based and are drawn from all over, it is also important that students have access to cross-river transit choices. After disembarking at the Canal Street terminal, the Councilwoman heard ideas for improving public transportation from a streetcar operator switching lines on Canal Street. She then hopped aboard the recently opened Loyola-Union Passenger Terminal streetcar line for an easy ride to City Hall. During the trip, which lasted about 30 minutes, we asked the Councilwoman what she was most proud of achieving as a transit advocate. She answered that she was proud of advancing complete streets legislation that requires all roadway improvements to be made with pedestrians, cyclists and transit riders – in addition to motorists – in mind. Palmer also set up a standing Sustainable Transportation Advisory Committee to advise the Council and City Hall on smart transportation policy and investments. Stay tuned for Ride’s coverage of more notable New Orleanians riding transit during NOLA Transit Week 2013! Next up: State Representative Walt Leger III and beloved Commander’s Palace Maitre d’ Carl Fernandes.